There have been quite a few larger clearomizers released lately that seem to bridge the gap between a standard cartomizer size and that of a tank. 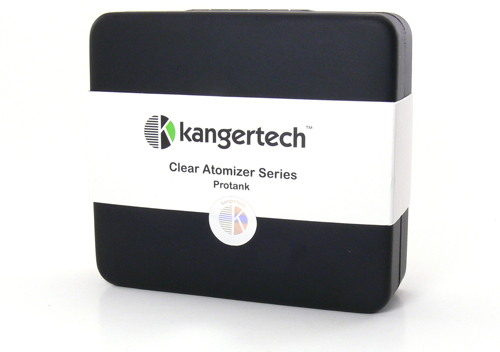 The ProTank from Kanger is an excellent example of a clearomizer that is simple enough for the new user, yet has a large enough capacity and good enough performance to be attractive to experienced vapers. The packaging of the ProTank is worth mentioning. It comes in a solid hinged box with each piece securely held in place by soft foam material. A paper band surrounds the middle of the box and is held in place by a holographic Kanger seal. The packaging gives a first impression of quality along with the satisfaction that this is a genuine Kanger product. The kit includes the ProTank, two coil assemblies and a chrome trim ring for use with eGo style batteries. After opening, the presentation is also quite nice, with lots of chrome catching the light. The ProTank has an integrated chrome tip which is permanently attached to the body of the tank as is a chrome band around the bottom. I’m not a big fan of metal drip tips, but I didn’t seem to mind the design of this one and actually have come to like it. 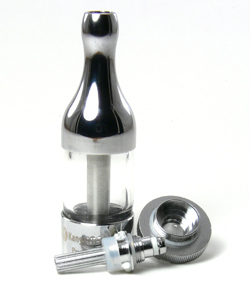 The 2.5ml tank itself is made of glass which adds to the solid feel. Glass will also hold up better to e-liquid flavors such as cinnamon and citrus that have been known to crack plastic tanks. The bottom is the only part that unscrews and it is also brightly finished, though with a knurled surface to provide better grip. Altogether, it is a very attractive and solid feeling tank. The ProTank has a bottom coil design, much like the MT3 and EVOD offerings from Kanger. Like its predecessors, the ProTank is a BCC or bottom coil changeable design, meaning that the coil sits at the bottom of the tank and can easily be replaced. ProTank EVOD coils are, in fact, interchangeable with the ProTank coils. Two 2.5 ohm coils are included with the kit. I would prefer to see at least one lower resistance coil included to make the unit more suitable for use with fixed voltage eGos and unregulated devices. The 2.5ohm coils are acceptable on a standard eGo electronic cigarette battery, for instance, but certainly not the excellent vape that could be had with a 1.8ohm coil. The coil assembly consists of the coil wrapped around short wick, a threaded portion on the bottom and air tube on the top. The assembly screws easily and firmly into the base of the tank, and the tube inserts easily into the tube inside the tank. 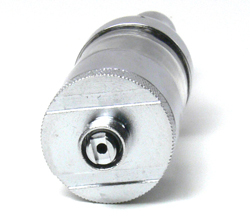 Replacements are sold as a unit, making replacement extremely simple, although enterprising vapers will also be able to rebuild the wick and coil if desired. The base is solidly engineered with bottom channels cut out to provide better airflow when used with flat topped devices. A thin silicone gasket surrounds the outer edge of the top, which makes contact with the bottom of the tank. The connector is a standard 510 connector, but the kit includes a chrome trim ring that completes the look when used with eGo style batteries. While it looks like an advanced device, the setup and use of the ProTank is simple and it performs well right out of the box. The large diameter of the tank make filling easy with a standard dripper bottle. Everything screws together easily and it vapes well right from the start. During the first tank I did need to prime the wicking process by blowing into the mouthpiece a little between every three or four vapes. The resulting pressure helps to push liquid into the wick and this method can also be helpful when a tank is freshly filled. By the second or third tank, the wicking process was flawless, even when chain vaping. A little gurgling was present only when the tank was nearly empty. As with other tanks and clearomizers we’ve tested recently, it is possible that it may be necessary to remove a little of the wicking material when using thicker juices. Loads of vapor is what the ProTank is all about. The draw is quite light, and may be a little too light for some users. I don’t typically like a light draw, however, and found this one satisfactory. That easy draw means that a lot of air is passing over the coil and the result is a massive amount of vapor. Flavor production and throat hit are also quite good, making this a very likable device. It is really quite similar to the vape of the EVOD mentioned earlier, but the larger 2.5ml tank makes it much more convenient. On the first tank full I did notice a small amount of leakage from the base of the unit. When inspecting it, I noticed that I had the coil unit very tightly screwed onto the base. I suspect that I may have crushed the gasket a little causing the leak. In any case, after filling and reassembling, I have not had a leak since, and that’s after a half dozen tank fulls or so. The thin gasket between the base and the tank would seem to be the most likely long term point of failure for this unit, but is working just fine early on. This is by far one of the easiest tanks or clearomizers to fill and its a good thing, too. Large amounts of vapor mean that large amounts of e-liquid are being consumed and also make it pleasurable to vape a little too much! A little care must be taken to hold the knurled base when unscrewing from the battery, as it would be very easy to inadvertently unscrew the tank from the base. I’m sure I don’t need to go into detail on why that should be avoided. The ProTank is a clear winner in the clearomizer and entry level tank category and blurs the line between the two. At $18.50 from Viper Vape, this is a reasonably price clearomizer or relatively cheap tank, depending on how you look at it (“15offvape” entered at checkout make it an exceptional deal). Sub $3 replaceable coils make it a good long term value, and rebuilding coils could make it even more cost effective. The vape is what really counts, though and in this area the ProTank is a consistently enjoyable device. After a couple of weeks of use, I’m still using the same coil assembly and have noticed no loss in performance or flavor. Note: Viper Vape was kind enough to send a Kanger Protank for the purposes of this review. 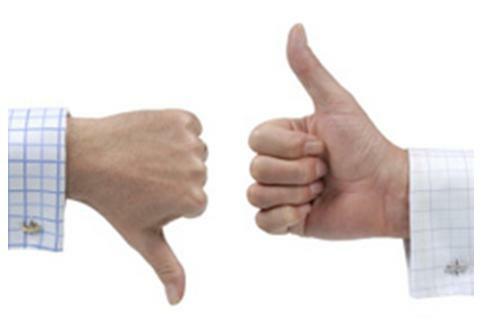 It’s not financially feasible to order every new product that comes along, so we are thankful for demo items. We try hard to let this have no impact on an objective review, however. I love this tank!!! I was using the standard atomized cartridges with the batteries that look like a cigarette. Then my local vendor showed me this fantastic device. I bought an eGo battery, and am very happy with the results. I am a newbie to the e-cig thing, but so far it has really helped me cut way back on my analog cig intake. I must give the credit to darkcityvapor.com for all of their help, guidance, and great juice. I hope this little opinion helps someone out there. I love this tank. Great taste and easy to fill. I noticed after a few days it wasn’t producing much vapor. I have a 2.5 head and I’m using an ego twist at 3.9 volts. If I go any higher it tastes burnt. Why is it doing this. Did it come with a faulty head? Any info would be greatly appreciated. A burnt taste is most often due to not enough liquid getting to the coil. Try blowing into it lightly and see if any bubbles appear in the tank as you’re blowing. If they do, then liquid should be displaced into the wick. I (and others) have found that wicking seems worst when the tank is full and gets better as it empties. You may also want to try removing a little of the wick from the coil. Only remove a little at a time though, as removing too much will result in gurgling and leaking.